The best way to get to know a community is by scheduling a tour. See the facilities, meet the staff and residents, and get a feel first hand what it's like to live at Bellaire at Devonshire Assisted Living. When your loved one joins Bellaire at Devonshire, they will delight in the ability to fill their days with engaging activities and friendships. You will delight in knowing our community delivers the first-class services which they need to remain independent and active. From our homelike décor to the well-appointed apartment, we haven't overlooked anything when it comes to caring for our residents. Bellaire at Devonshire is managed by Beacon Communities. At all our communities we strive to make a difference in our residents' lives and offer programs which promote their well-being while connecting them to the resources in the community-at-large. We offer a variety of floor plans to meet our residents' lifestyle requirements. From cozy studios to two-bedroom floor plans, each new resident will find the perfect floor plan to call home. Apartment features include in-suite climate controls, an emergency call system and closets. Select floor plans have a kitchenette, and each room also has cable and Wi-Fi access. Best of all, small pets are also welcome to join our community. Every day at Bellaire at Devonshire we offer a variety of activities including gardening, pet therapy, outings and craft classes. Residents are also found in the TV room catching up on their favorite shows or gathered in the game room sharing a laugh over a card game. Our residents enjoy three, freshly prepared meals served restaurant-style every day, and healthy snacks are provided between meals. We also provide scheduled transportation for errands and medical appointments. Weekly housekeeping and personal laundry service frees everyone from daily chores so they can have more time having fun. For each resident we will craft a care plan that outlines the level of service we will provide with activities of daily living. We also offer medication assistance. Families especially appreciate our nursing supervision and specialized memory care. 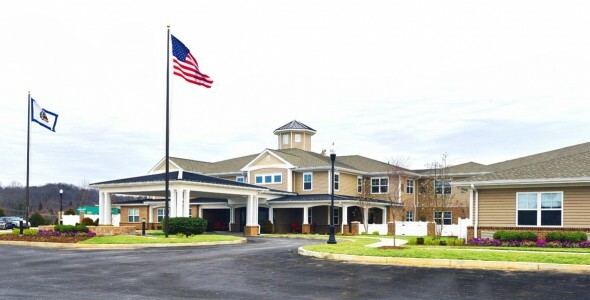 Bellaire at Devonshire is proud to be the community of choice for Charleston-area seniors who are looking for supportive services delivered in a homelike community setting.